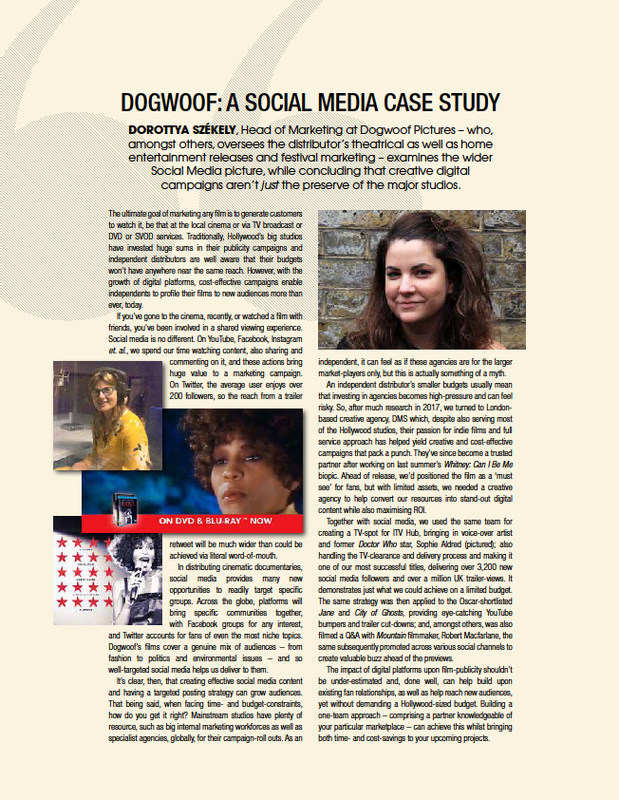 ScreenTrade Magazine talked to DMS client Dogwoof, the country’s leading creative documentary distributor, on how it used DMS’ creative services to successfully produce multi-platform content and grow its target audience. 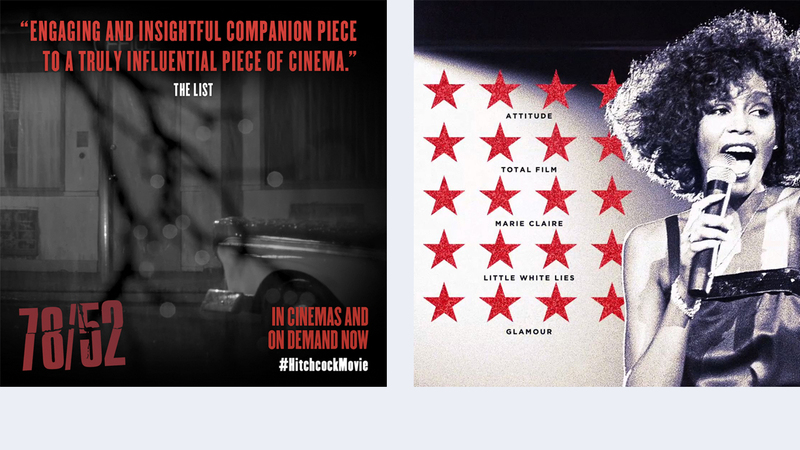 In the article, Dorottya Székely, Head of Marketing at Dogwoof, the company behind award-winning documentary Blackfish, discusses the growth of digital platforms and how they are enabling independents to profile their new films to new audiences. Through an intelligent approach, Dogwoof can effectively grow its target audience and the sharing of social media content without the resources and budget that mainstream studios have. By utilising the targeted and fast-turnaround creative assets produced by DMS for one of their recent projects, Whitney ‘Can I Be Me’, the film became one of Dogwoof’s most successful titles, and the campaign delivered more than 3,200 new social media followers and over 1 million UK trailer views. Find out how DMS and its in-house production team, Tiger Films, collaborated on a range of Dogwoof projects including 78/52, the Alfred Hitchcock Psycho documentary, and the Oscar nominated documentary Jane.